Winter can leave us in the habit of always reaching for blacks and greys. And while neutrals have their place, there’s something special about a pop of color that can change your whole vibe. So when you find yourself wearing a black turtleneck and jeans again, don’t despair—there’s an easy way to kick things up a notch. We love the way colorful accessories can take a classic, go-to outfit and make it instantly eye-catching. 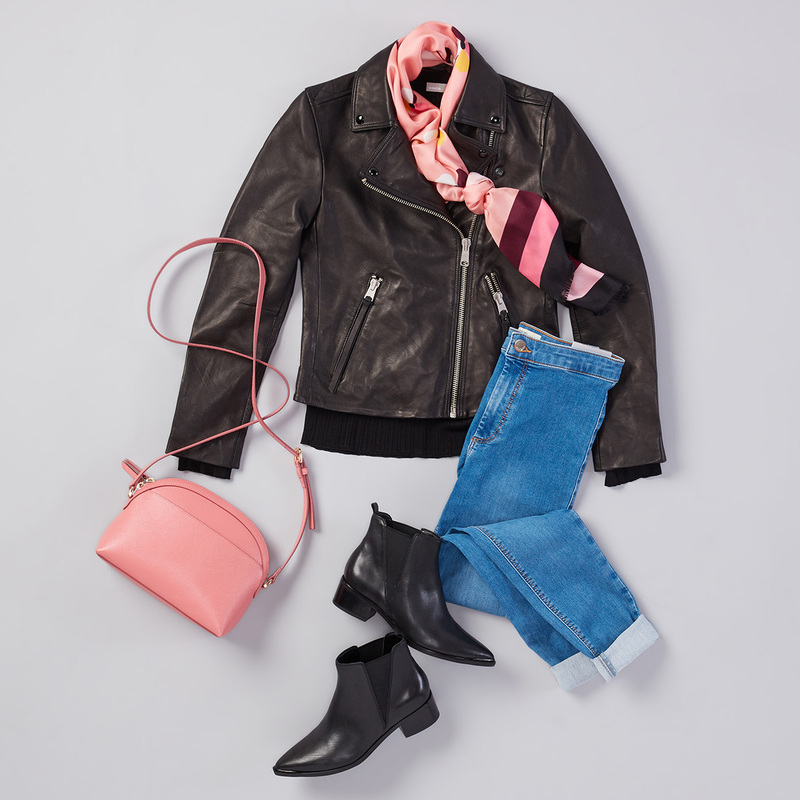 A bag-and-scarf combo is the perfect way to pull that off. And don’t think you have to match them tone-for-tone—shades of the same color also look great together. But if you’re in love with a color like this energetic red, don’t hesitate to go all out. No matter the outfit, people will always see your shoes—which makes them prime real estate for a pop of color. If they’re the focal point of the outfit, keep everything else relatively low-key. Even something that’s usually a statement piece (like this bucket bag) can be brought down to earth in a neutral hue. Because when you wear blue suede shoes, you want them to be the stars of the show. A pop of color doesn’t have to be in-your-face. It can be subtle, like blush, and even incorporate a print. Multi-color pieces let you play around with matching accessories. For example, this scarf looks great with a blush bag for daytime, but you could also try a deep burgundy one for a richer evening look.